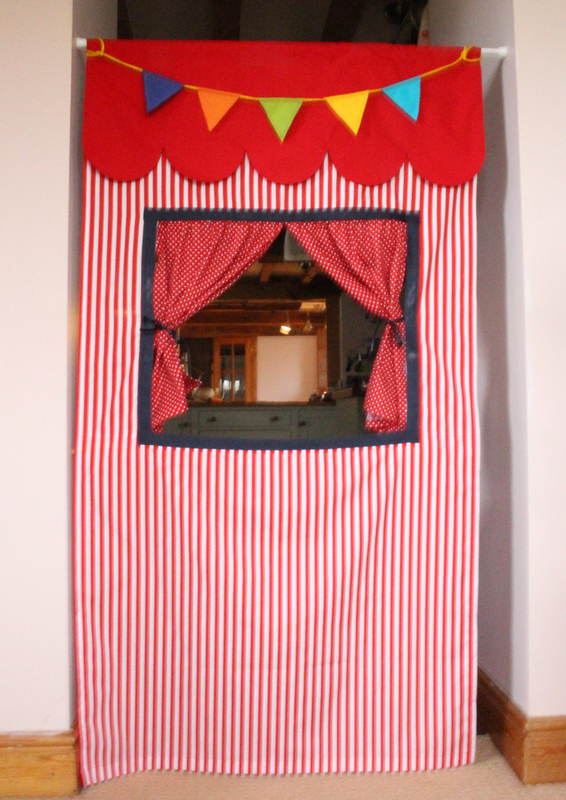 Did you see the Portable Doorway Theatre that I designed for Issue 11 of Love Sewing magazine? I think it’s one of my most favourite things I’ve ever made and the girls certainly love it too! 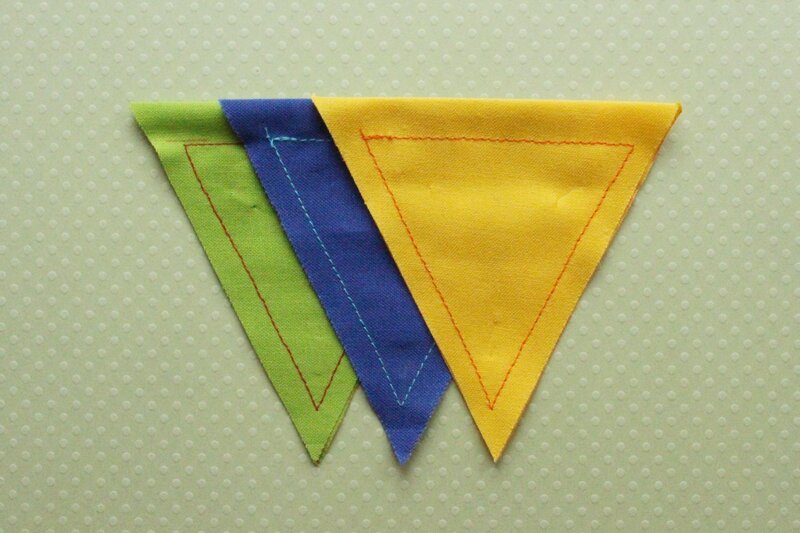 I have written a tutorial for making a little row of bunting to hang from the top of your Doorway Puppet Theatre, you know, just in case it’s a jolly kind of performance! :: Download the Flag Template, print off and cut out. :: Trace Flag Template onto fabric(s) and cut out. I’ve made 5 flags, but you could make more if you prefer. There’s room for 8 flags if you place them right next to each other. 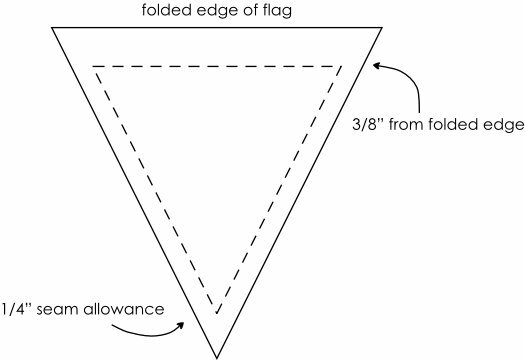 :: Fold each flag in half with wrong sides together and sew with 1/4″ seam allowance on the two long edges and 3/8″ from the folded edge, as per the diagram below. :: Trim the two long edges with pinking shears. :: Thread the flags onto the cord. 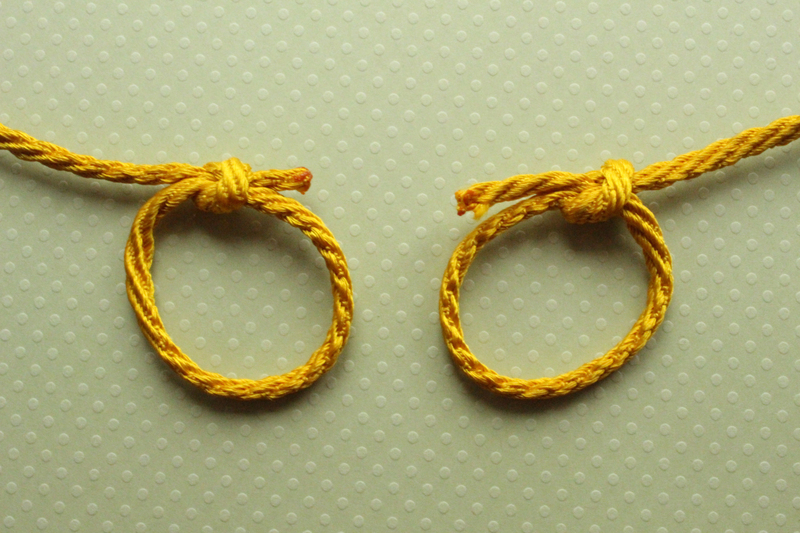 :: Make a loop at either end of the cord. If your cord frays dab a bit of fabric glue on the ends or melt them (but only if you can be trusted to be sensible with a match!). 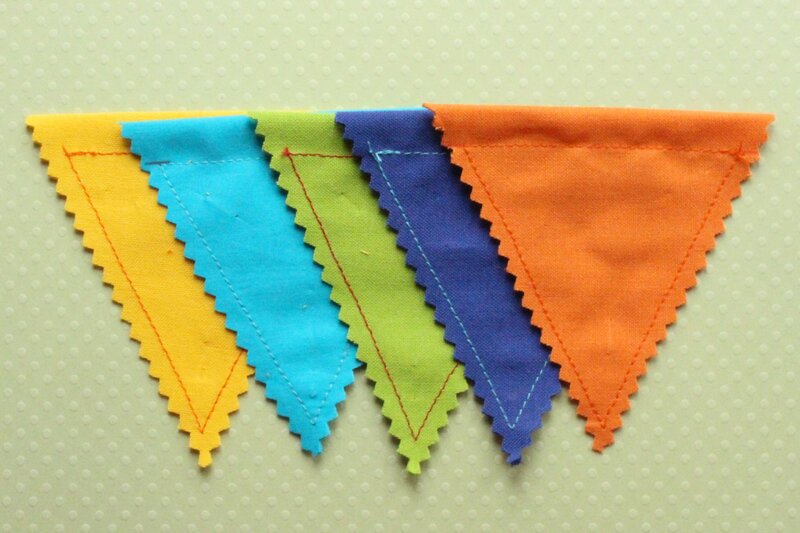 :: You are now ready to hang your bunting onto the tension pole of your Doorway Puppet Theatre. 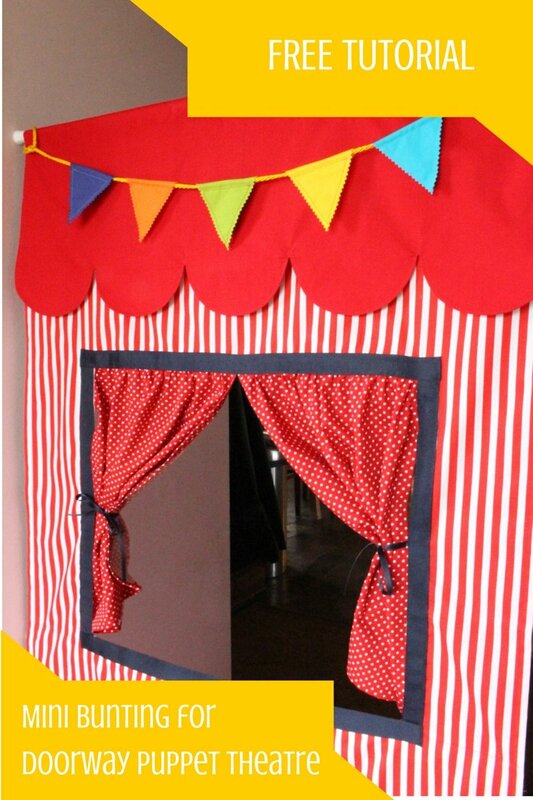 As usual, let me know if you’ve made a Doorway Puppet Theatre and some Bunting. I love to see your makes…it really does make my day!